I have just received an update from Council on the condition of LHM. 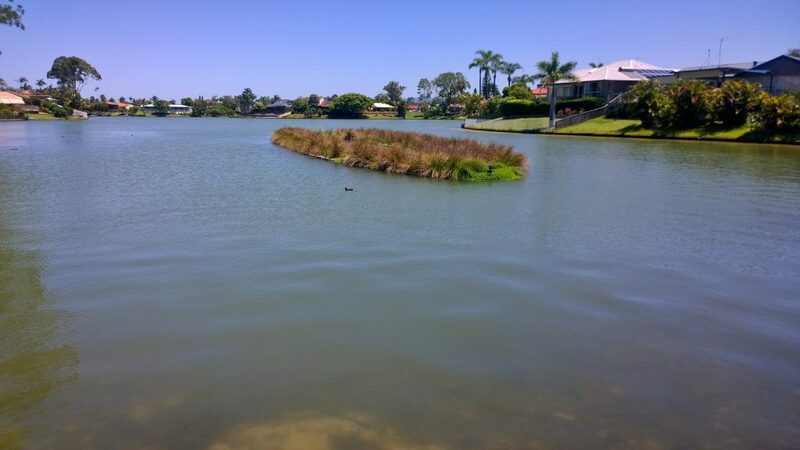 This council managed asset has now been closed for 1 month with on the latest tests indicating that the Algae levels are still increasing. The lake will remain closed for the foreseeable future until the levels decline. With the possibility of increased toxins with the ongoing decline, it is important THAT YOU DO NOT SWIM IN THE LAKE! In July last year, the Care Group in discussions with Council requested water quality results to determine the extent of degradation and trends. This was in response to the poor lake condition after the first Algae outbreak. Despite after 6 months and numerous emails and phone calls, water quality results and summary of lake condition have not been supplied. With the latest outbreak, requests for water quality updates on Algae have also not been provided. The Care Group planned to update users on algae trending so we have an idea how long the lake will be closed during this high use period. 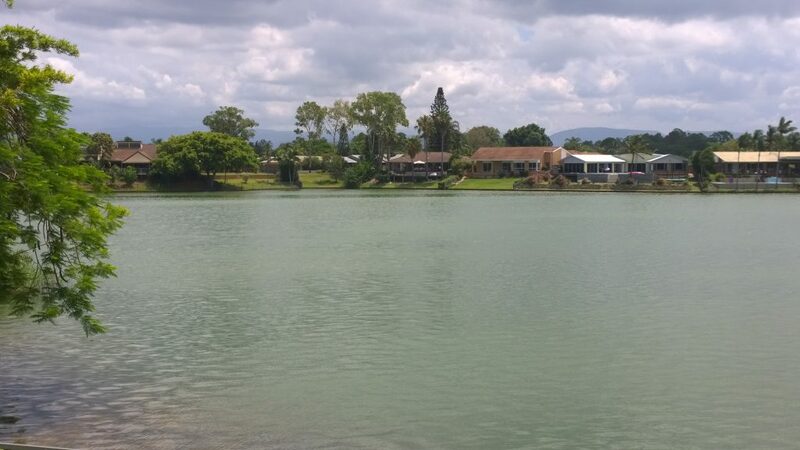 With the ongoing poor condition of the lake, residents and users need to know the “facts” on the ongoing degradation of this Council Managed Asset. 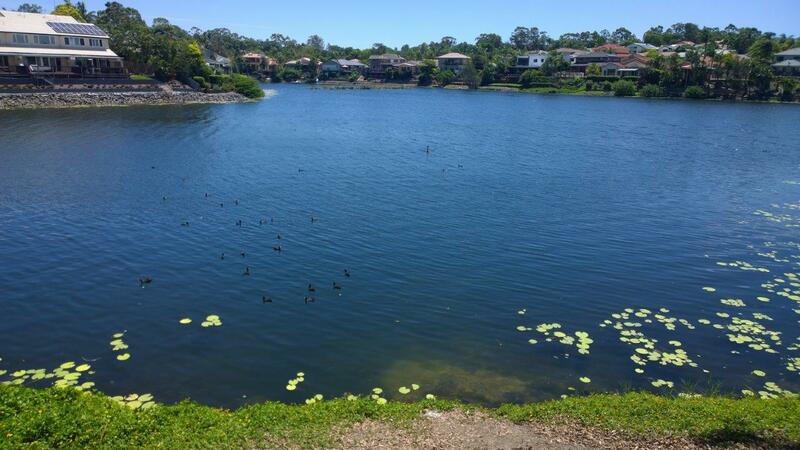 Within walking distance of LHM is another freshwater lake. This lake is in a similar environment in a highly built up area, street drains running into lake and minimal flushing. Today members of the committee met with our Local Member of Parliament Ray Stevens to raise the issues of ongoing decline in water quality in LHM. Ray will be looking into the situation and will offer any help where he can. Many thanks to Ray for spending his valuable time to listen to the community. Lake Closed Due to Algae Outbreak for a Second Time In a Year! For the second time in 2017, Lake Hugh Muntz has been closed for high levels of Algae! In the 35 year history of this swimming lake, these closures are unprecedented with the last recorded algae outbreak way back in 2006! The lake closure could not of come at a worse time, with many users looking forward using the lake during the hot summer months, not to mention disruption to Vital Commonwealth games triathlon training. Based on the outbreak earlier in the year, the closure could be for several months. The Care group have asked for regular updates on readings and will update users. The Care Group are still waiting for water quality results requested back in July to determine lake trends and will advise when received. The extent of the outbreak can be seen in the photo below with the whole lake turning a green colour!